Adam G. Simon ha scritto la sceneggiatura d Man Down, diretto da Dito Montiel. 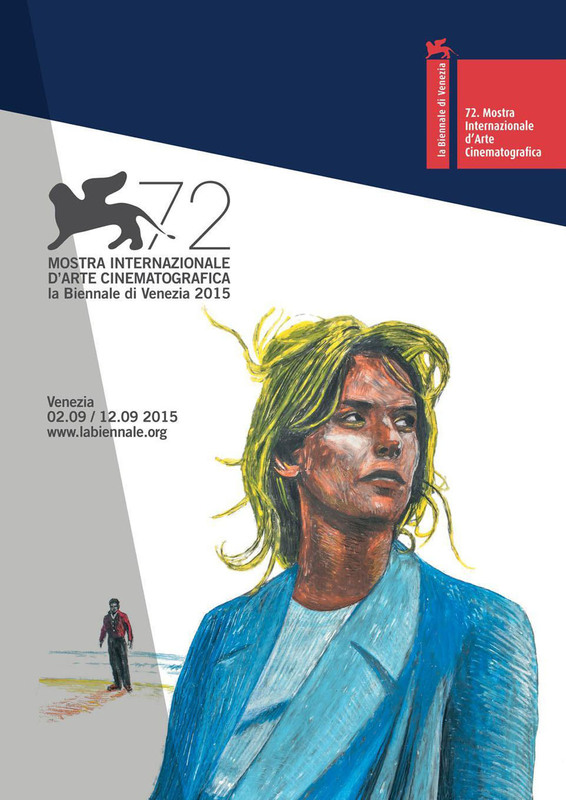 Il film viene presentato a Venezia in concorso nella sezione Orizzonti, il 6 settembre alla Sala Darsena e il 7 al Palabiennale. Hi Adam, can you pitch your film to us? It is the story of a Marine veteran (Gabriel Drummer) as he searches for his wife and son in a post-apocalyptic America. Accompanied by his friend and fellow Marine, Gabriel will stop at nothing to find his family as he runs from the mysterious past that haunts him. Did you have to pitch it many times before selling the script? I had to speak on it. You write what you know. So part of it came from my own experiences as a father and struggling to be a father in the middle of abject poverty. I was trying to find a way of expressing the anger and frustration I was feeling with myself while addressing a system of government that was failing so many. 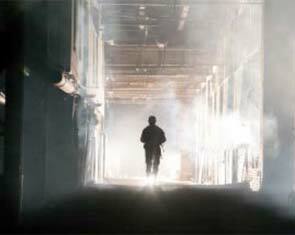 The military aspect of the film came from my experiences with men and women who are in the military. There are other experiences and people I drew from to help shape the world Gabriel has to survive in, but that is the short version of it. To be able to pitch in a compelling way is critical in our field, and especially in Hollywood. I guess the fact you are also an actor helps you do it, doesn’t it? Any tricks to share with us? Being an actor has helped in the sense that as an actor you become inoculated to rejection. Your daily life is one of rejection. It is no different in pitching an idea. A thousand no’s to each yes. As far as tricks or advice, I think passion plays a big part. I have been and still am very passionate about Man Down. If you care about something, and care for the right reasons, others will too. You will find those with similar sensibilities who want to engage in your cause. People who will fight with and for you. What’s the core of your story — the main theme? I think the main theme is man vs himself but at the same time I think we are talking about a loss of innocence. How have you worked on your characters during the writing process? The characters really have voices that are close and very personal to me. It was important to that their voices were clear. Gabriel Drummer speaks for me. He has all the desire and drive to be the best father he can be but the deck is stacked against him. All he wants is to be a father in a world that is designed to destroy his family. Some of the characters were based on people I know or knew but I tried to make sure that each character had a clear and distinct voice. They all represent something more profound then what is on the surface. How did it go with Dito Montiel (‘A Guide to Recognizing Your Saints’, ‘Fighting’, ‘The Son of No One’, ‘Boulevard’)? Do you think that a close collaboration between a writer and a director is important to make a good film? Dito is incredible. We had a few conversations about the story and characters. I had done multiple rewrites before it reached him so by that time the story was in great shape. Our conversations were always positive and focused on how the characters and story could be best served. In our first conversation he told me, “I am going to go to war for this story. I am going to fight and make something beautiful. We will make something beautiful.” He made good on that promise. Some people like close collaborations others like to take a writer’s work and mold it to their particular interpretation, I always like to be flexible. I think more than anything it’s important as a writer to be open and collaborative. You can argue characters motivations or points in the story but film making is a collaboration. You can’t be an isolationist or overly precious with your writing. You’ve signed two movies so far: ‘Man Down’ and ‘Synapse’. They both will be released this year, and one of them has been selected for Venice. How do you see your future as a writer? I am working on multiple projects as we speak. I have a lot of stories I want to tell. Worlds to create. Things to get off my chest. I am developing a television show and two films with Insurgent Media and getting a few other projects underway. Not a word about your future… The truth is that you know better than anybody else that we never know what to expect from life — In fact, when you were writing the first draft of Man Down, you were homeless, weren’t you? Yes. I was. I slept in my car until I needed to sell that to stay afloat. Then it was just me, my laptop, that was on its last leg, and my backpack. I had friends and even family I could have gone to but failure is not something I wanted to advertise. That led to me sleeping in a parking garage. Interestingly, that garage was one block from the offices of MPower pictures who ended up running with Man Down. When I met with Steve McEveety I could see where I slept from his office window. I would like to get a piece of advice from you to all the struggling writers of the world… and why not, to the fathers as well? For the writers I would say. Write. Be persistent and consistent. Write until you can’t write anymore then write some more. Study the greats. With the internet you can read great scripts. Study them. Fatherhood? I’m still figuring that one out. It’s forever changing because your children get older. I guess for me the biggest thing is being involved, being engaged. Fatherhood requires you to be hands on. You need time with your kids. So I guess, be there. Be a parent. You wrote your first two films on your own. Do you consider the possibility to co-write your movies in the future? Absolutely. I have co-written scripts in the past and have worked polishing and editing other writers’ scripts for a long time. Those experiences have taught me a lot. There are stories however that I feel a personal responsibility and duty to write on my own but aside from those, I am always up for co-writing. In 2010 you were hired as a 3D technical assistant at Cameron/Pace Group LLC, the production company founded by director James Cameron and cinematographer Vince Pace. You then served as a Sales Producer for them. How was that experience? What did you learn in such a prestigious firm? Prestigious is an interesting word. I got my start there sweeping floors then moved to apprenticing as a 3D technical assistant. I learned everything from the ground up until I arrived at being a sales producer. It was a baptism by fire. I learned a lot from my time there. It gave me a great appreciation for those who work hard on the production side. Grips, gaffers, PA’S, there are so many thankless jobs that go on behind the scenes of a film without which the film wouldn’t happen. The cast of ‘Man Down’ is pretty impressive. Kate Mara, Shia LeBeouf, Jay Courtney and Gary Oldman star in the movie. Was any of them a surprising choice for you to cover the role you had created? Since you are an actor as well, how did you react when you learned about the cast? I was sent the audition for Charlie Shotwell who plays Jonathan, Gabriel’s son. That was when I knew. Shia and Kate read with him. It was a beautiful scene. It was the most incredible feeling to hear them all breathing life into the script. I felt like they were all perfect. Really. I have been asked this several times. Now having seen it, it just reinforces how I felt when they all signed on. Everyone really put their hearts into this film and not just the main cast. Everyone. Clifton Collins Junior, Tory Kittles. Everyone sacrified and bled, they all killed it. Which are the strongest points of your screenplay? Is there either a genre, a model, or an author that somehow you felt inspired by? I think this film is saying something that is not being said. I was inspired by life. I wanted to speak on something that is not being spoken about and say it how only I could say it…loudly. Would you share your favorite scene with us? What is it about? My favorite scene is Gabriel and his son Jonathan as they travel to school. Gabriel is dropping his son off at school and a conversation takes place between father and son about his son being bullied. I took that from a conversation I had with my own son. Gabriel is trying to tell his son he loves him without embarrassing him and without adding fuel to a difficult situation that his son is in. The scene is just very close to me. Sincerely, did you ever think of meeting some kind of target (read: audience) while writing the screenplay? Never. Not once. I know there is a place for that kind of thinking in the writing process on certain projects but not on this. It never crossed my mind with Man Down. How many changes (if any) to the script needed to be made while filming? Were you told about them? I know some changes were made according to input from the cast and the themes that Dito was wanting to accentuate but what is in the film stays very close to the draft that Dito originally fell in love with. Were you present on set? Do you believe that a writer should always attend the filming? I was. I was on set in New Orleans. Again, I would say it depends on the production, the director. I wouldn’t insist on it, I think ultimately it comes down to how the writer can be best utilized. If a director wants or needs me there, I am there. That could be for on set rewrites, insight into the characters for the cast, etc. As a writer I am always accessible and available to be used in whatever capacity in which I am most helpful to the production once cameras start rolling. It’s always about what is best for the team. We founded the Writers Guild Italia two years ago in order to defend the Italian writers’ rights and interests. What do you think about the work that the guilds do? Are you already a WGA member, and if not, are you going to join them soon? Joining soon. Very soon. I think it is critical to have an organization protecting your rights. As an artist you don’t often see the pitfalls until you are falling. I have worked in some pretty crazy situations. As a writer, you can become a second class citizen real quick without someone looking after your interests as you create. I have since come into a great team who looks out for me. Are there any Italian films that you considered pivotal in your artistic path? I like different films for different reasons. My tastes are all over the board and have changed over time. I loved Nuovo Cinema Paradiso when I saw it. The relationships and bonds that are formed between adult and child. Learning from your elders, family, loss, love, seeking something higher than yourself. Universal themes that I think cut across any language or cultural barrier. I also love that film because it is a love letter to filmmaking. For different reasons, and I hate saying this other film because, in Los Angeles, going straight to a Fellini reference is kind of an American film school graduate, hipster thing to do, but La Strada was a film that punched me in the face. Anthony Quinn was exceptional as was Giulietta Masina. Very raw, real, simple and human. I can go on, I mean Ladri di biciclette is a similar situation. Seeing children really living through experiences onscreen shaped me as a kid, especially as an actor. Enzo Staiola’s performance was earth shaking. My heart just went out to him. I had the same feeling watching Christian Bale in Steven Spielberg’s film Empire of The Sun. It motivated me, I thought, they are doing it, I can do it. How did you learn that your film was selected for Venice? What are you expecting from the festival? Are you going to Venice? I heard from Dito Montiel. He sent me a message that simply said, “Venice Italy my brother, gear up, let’s roll.” I am just excited and humbled by the selection. This journey has been incredible. It’s been a long fight. Coming from where I have come from and seeing where the film is going is just miraculous. The making of this film is an underdog story in itself. I am going to Venice. I have never been so this opportunity is just fantastic. I am excited for quite a few of the films in the selection. Thank you very much, Adam! Grazie di cuore! Great interview! I can not wait to see the film! !